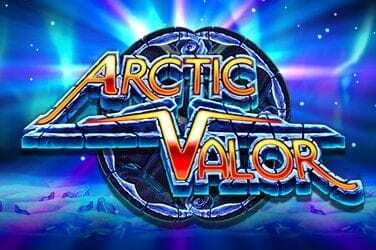 With the leagues of fortune slot if we venture further than Blackpool we will actually discover untold riches beneath the waves. 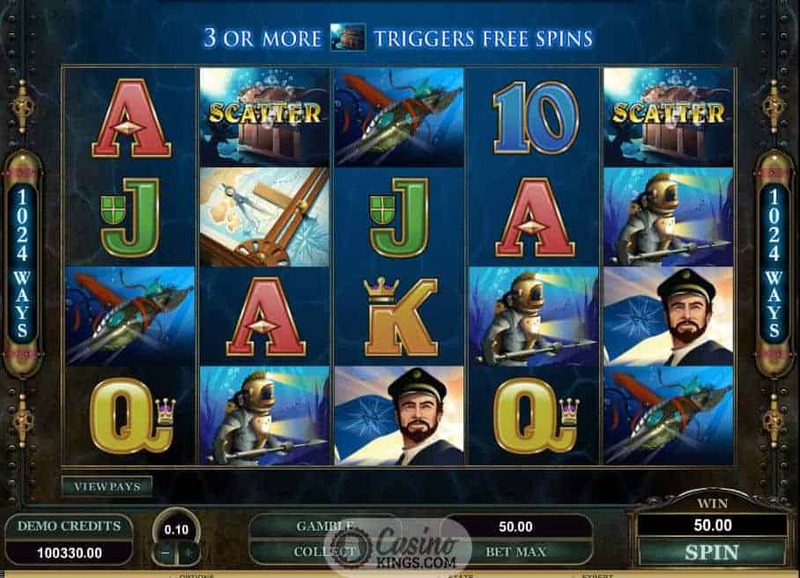 That is our destination in Microgaming’s seafaring video slot, in whose depths we must plunge to seek our salty fortunes. Our base game plays out over a shimmering reel case of underwater temptation, our five reels decorated with the characters of our adventure. There is the salty but firm captain, his determined deep sea diver (not a euphemism), a nautical chart and…what’s this? Our own diving craft locked in the tentacles of a giant squid! 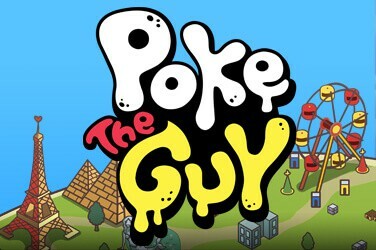 No wonder the game logo is our Wild symbol if this is the way it’s going to shake down. Turns out that’s the squid we’re looking for, and he turns out to be the Giant Squid of Fortune, bestowing riches on all who cross his path. Apart from the Greeks. He doesn’t like what they do to his bredren. 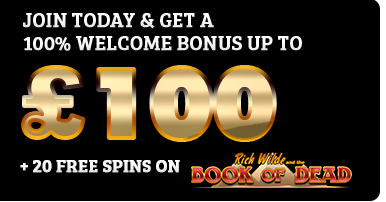 Meanwhile, we are free to scoop all the winnings we can from the waves using Microgaming’s 1024 ways to win. Or should that be waves to win? So it’s the squid we’re after, but any mention of paella will go down like a crayfish sandwich. 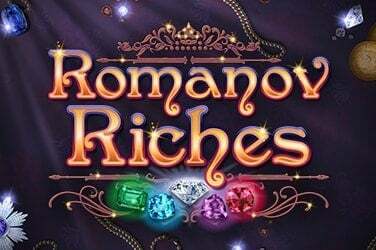 If we land three or more Treasure Chest Scatters we launch into the Free Spins Bonus feature, in which we can win up to 375,000 coins by taking advantage of the feature’s 5x multiplier. In fact, don’t all squid have eight tentacles and two arms? So shouldn’t we have either a x2 multiplier, a x8 multiplier or a x10 multiplier? Or is Microgaming going by how many tentacles will be left once we’ve finished deep frying the calamari? Just as I’m taking a gamble on insulting this tentacled terror we can gamble our winnings after every successful spin. 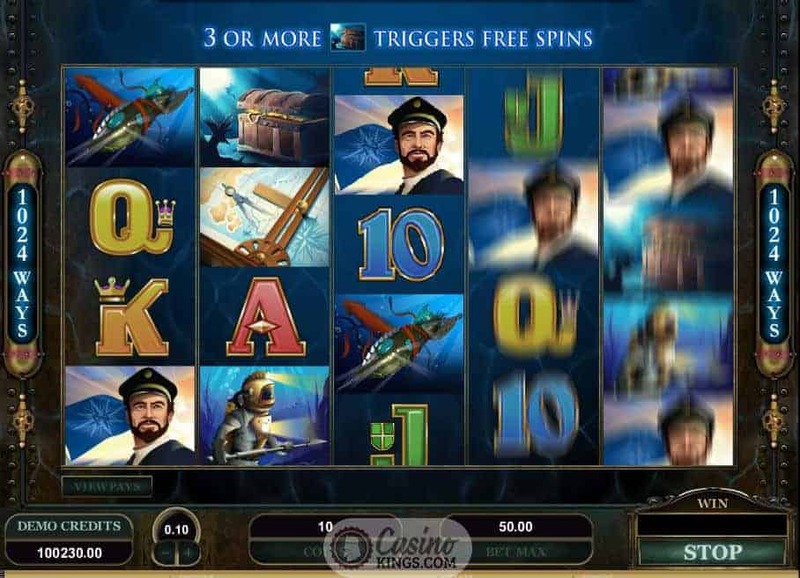 The developers have employed the oceanic theme nicely with a watery Your Gamble feature, where we can select the odds of our gamble by increasing or decreasing a portion of the maritime globe in which we wish to bet our needle will land. By increasing or decreasing our gamble the winning and losing portions of the globe change to highlight the regions where we need the needle to land. 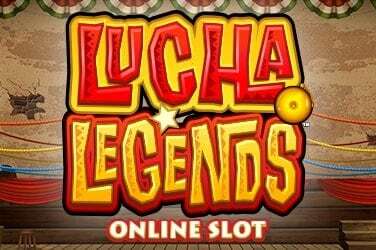 In a neat twist, we can also Bank half of our winnings before each gamble, thereby increasing the in-bonus gameplay and potentially racking up a bankroll as we do. 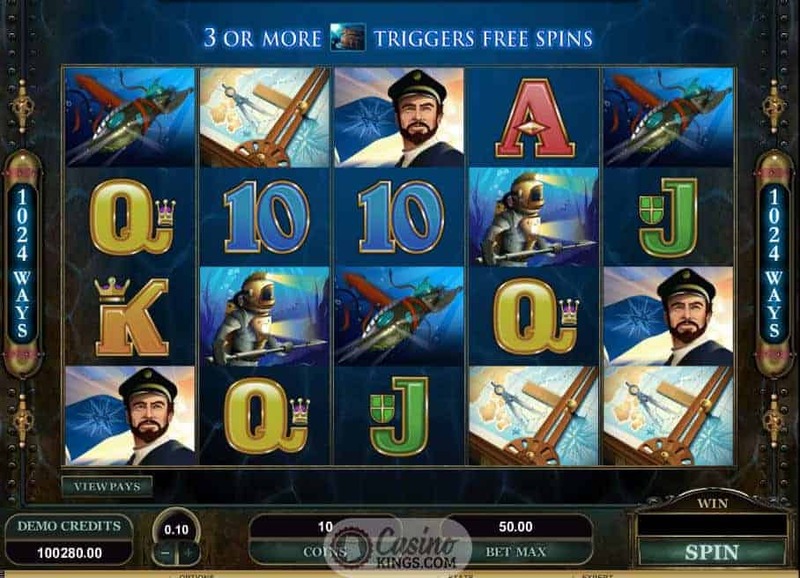 Microgaming’s 1024 ways to win mean there are literally, well, 1024 opportunities to win in a playable base game that keeps the boat rocking with neat animations and an adventurous soundtrack. 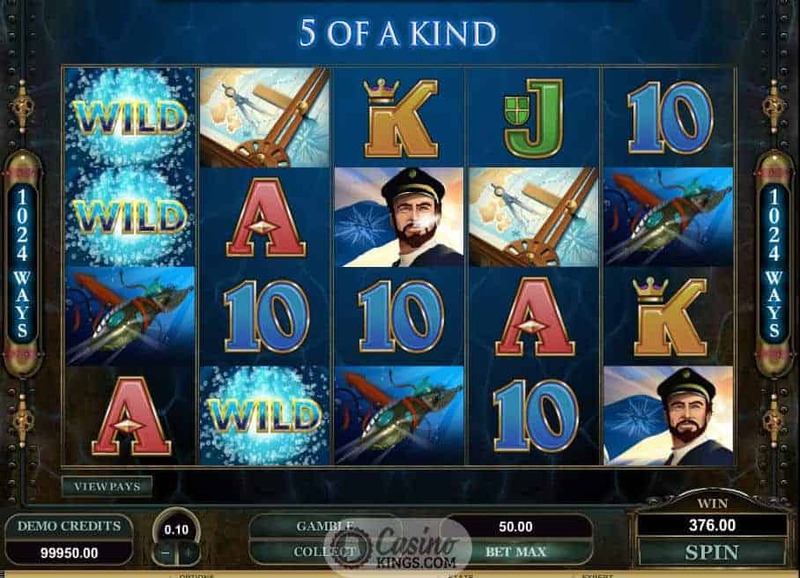 The bonus win potential is ramped up with the level of control we have in the unique Your Gamble feature. There is only one thing certain: we definitely don’t need a bigger boat.